Investigators have unearthed a massive illegal dump suspected of containing tens of thousands of tonnes of waste. Specialist environmental engineers and Garda detectives have been examining a site near the village of Manorcunningham, Co Donegal, for the past three days. It follows a three-year-long investigation into suspicious activity in the area in which a team of investigators used CCTV cameras. Aerial footage taken over a ten-year period has shown massive changes in the topography of the area which has been raised by several metres. The frequency of the aerial pictures has increased substantially over the past two years. They are said to show "incredible" changes in the local landscape. It is understood that a number of suspects have been identified in footage taken from the secret camera network. The investigation is being led by Donegal County Council and monitored by the Environmental Protection Agency (EPA). The council has refused to comment, but a spokeswoman for the EPA confirmed that "an investigation is currently taking place" in the Manorcunningham area. The spokeswoman added the EPA was being kept up to speed in the inquiry. The investigation began when local people reported seeing heavy machinery working late at night - and using headlights - in the area two years ago. The activity was reported to the EPA and the local council. The Garda National Bureau of Criminal Investigation was brought in to help with the inquiry, with detectives focusing on fraud and money-laundering aspects of the illegal dumping activities. Gardaí are also refusing to comment, referring queries to the council as the lead investigator. "We could be looking at one of the biggest illegal dumping grounds in the State," said one source. "The illegal trade in waste nets criminals millions of euro every year. It is a highly organised criminal activity and more lucrative than drug-dealing or cigarette and fuel smuggling." 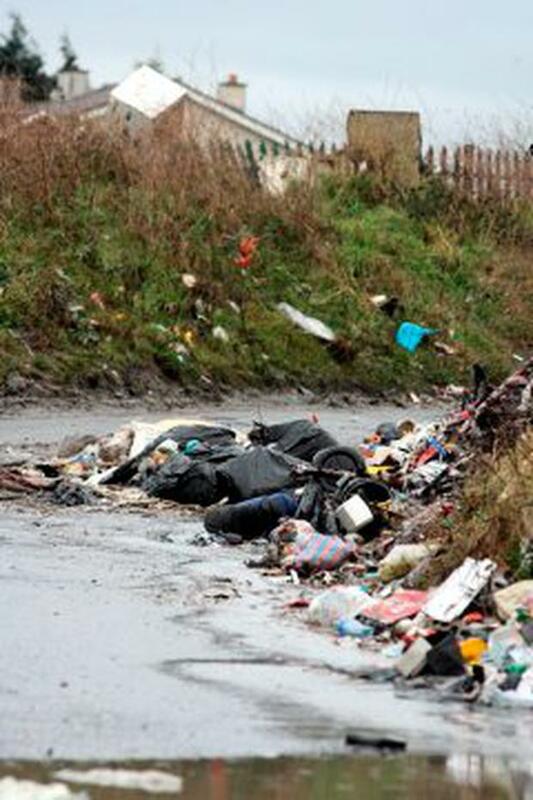 The inquiry comes less than a year after five illegal waste sites were uncovered in various areas of Co Tyrone. Authorities in the North said all the waste at those sites came from the Republic.